Jenny Fennel’s mom taught her to knit long before Lily Lake Knits—her line of handmade cozy clothing named for a piece of heaven on Cape Breton Island—was a thing. “I began knitting so much that I had mounds of blankets, hats and scarves piling up in my home and thought, why not open an Etsy Shop?” she says. 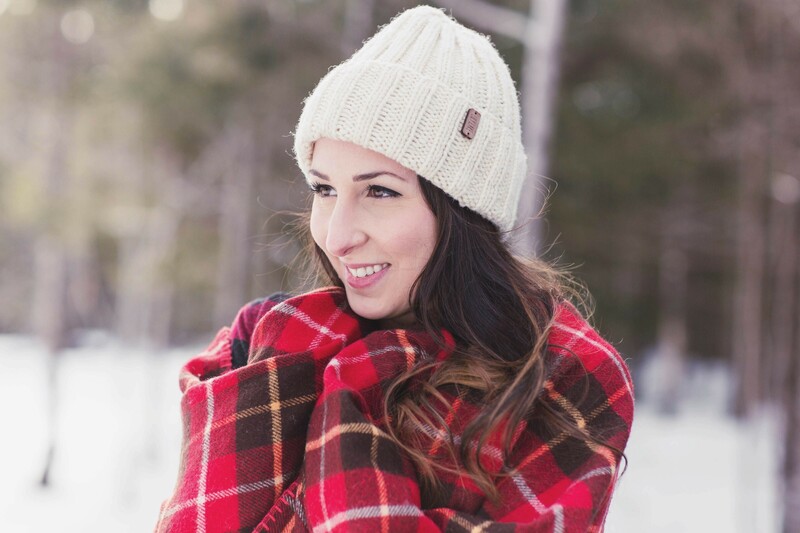 “It’s been my greatest adventure.” Her pictured Nova Scotia Pure Sheep Wool Hat ($80) is just one of her designs—a hat tip to the classic Irish fisherman-style touques that comes in six natural colours—and is made from 100 percent local, un-dyed, chemical-free wool. Find Lily Lake Knit’s full collection on Etsy, or peep behind the scenes at @lilylakeknits.